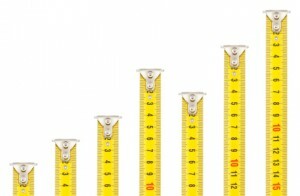 How is Your Background Check Firm Measuring Up? Aside from the salacious news stories, Consumer Reporting Agencies (CRAs) have made recent headlines for more clear-cut violations of the Fair Credit Reporting Act (FCRA). One recently agreed to pay $2.6 million to resolve allegations from the Federal Trade Commission concerning inaccuracies in background checks. Another has been hit with a number of lawsuits for providing inaccurate and outdated background reports to employers. While CRAs are certainly under increased scrutiny, it is important to note that employers themselves are also being held to account for poor consumer reporting/employment screening/compliance practices. As an example, the auto parts giant, Advance Auto, recently found themselves making headlines for lack of compliance and improperly utilizing an inaccurate report supplied to them by a CRA. The responsibility goes both ways. Employers find that hiring an experienced and qualified background screening company, also known as a CRA, improves hiring decisions and helps keep them out of the courtroom for negligent hiring practices. It is also important to realize, however, that the benefits can be outweighed when a CRA’s practices are lacking. Choosing a quality provider is critical. While there are many factors to consider when choosing a background check provider, the reality of today’s legislative, regulatory, and litigious environment means that extra attention must be paid to the policies and practices of your provider. Current and Knowledgeable: It should be evident that your CRA is informed and adheres to the latest compliance guidelines. While a background screening company cannot replace a capable employment attorney, your CRA should also be able to help guide you through the process—and certainly adhere to their responsibilities—when it comes to compliance. Access to Experts: An expert CRA will offer more than a call center. You should be able to access professionals with knowledge regarding compliance, risk management, and other key factors related to background screening. A conscientious CRA will ensure that you understand the process of a background check so that the end result is both a positive outcome and experience. Accurate and Individualized: Anyone can find database background information online, but a good CRA will dig deeper into the authoritative source and recommend a comprehensive view of each candidate, complete with individual assessments. Your CRA should also be able to inform you about the potential compliance limits of what information can and should be considered in the hiring process. Responsible Use of Databases: While national records should be positioned as an important indicator to guide criminal records searches at a local level, they should never be any employer’s sole source of criminal record information. As seductive as it seems, the cheapest and quickest background checks are not all they are cracked up to be. A quality background screening company will be efficient, but performing an accurate and thorough screening process does take time. Lower cost screening processes such as relying only on a database are often incomplete, and while a quality background screening can cost more, it pales in comparison to the risk of doing it wrong. For more information, download our recent guide, 9 Tips for Selecting a Background Screening Company.